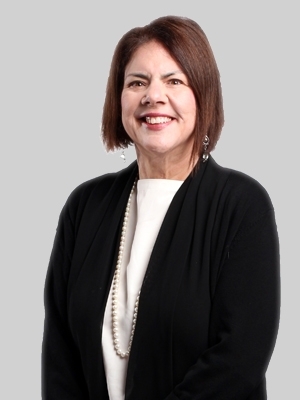 Lizbeth has more than 25 years of experience in international trade law and is particularly fluent in handling anti-dumping matters on behalf of clients from Argentina, China, Ecuador, India and Mexico. Fluent in French and proficient in Spanish, Lizbeth works with clients from across the globe, from multinational corporations to U.S. importers and retailers. Lizbeth is experienced in a wide range of complex international and business matters, including anti-dumping and countervailing duty investigations, safeguard measures, and cross-border patent and trademark infringement disputes under Section 337. She is also well-versed in NAFTA and customs matters related to tariff classification of imported goods, valuation, prior disclosures and deemed liquidation issues. Additionally, Lizbeth has extensive experience litigating international trade disputes before binational panels and federal courts. She has practiced before the U.S. Department of Commerce, the U.S. International Trade Commission, the U.S. Customs and Border Protection, the U.S. Court of International Trade and the U.S. Court of Appeals for the Federal Circuit. Before joining Fox, Lizbeth was a partner in the Washington, DC office of a national law firm. She was previously an attorney at an international law firm. Serving as lead counsel in more than 30 anti-dumping cases involving merchandise as diverse as plywood, preserved mushrooms, magnesia carbon bricks, activated carbon, laminated woven sacks, small diameter graphite electrodes, frozen warmwater shrimp, wooden bedroom furniture, steel nails, wire decking and garlic. Representing two major Chinese corporations in an international antitrust dispute over exports of bauxite which currently is being litigated in the Western District of Pennsylvania and at the World Trade Organization. Representing clients from India in more than 15 anti-dumping cases involving merchandise such as pigment dispersions, carbazole violet pigment, pre-stressed concrete steel wire strand, steel wire rope, phosphonates, preserved mushrooms and glycine. Representing several companies in the Indian shrimp industry in the anti-dumping case of Certain Frozen Warmwater Shrimp from India. Part of a team successfully representing CEMEX during several years of complex and often heated litigation involving cement imports into the United States. Representing both foreign and U.S. corporations in patent infringement cases at the International Trade Commission brought under Section 337 of the Tariff Act of 1930 involving complex products such as forensic devices, composite wear components, cigarette lighters, prophylactics and starters and alternators.